Google has been working for a while on ways to reach the "next 5 billion" mobile users, and today at Google I/O, Android and Chrome chief Sundar Pichai announced a new initiative called "Android One", which aims to push forward those plans. Not surprisingly, the initiative will continue Motorola's successes with offering "high-quality low-cost" smartphones for emerging markets. The plan for Android One is that Google will work with manufacturers to help them build the best smartphones possible while still offering the features and apps that are the most useful for a particular region. One of the devices in the works is in a partnership with Micromax in Pichai's native India. Google says it will feature a 4.5-inch display, dual-SIM support, an SD card slot, and an FM radio, all for under $100. The devices would run stock Google Android, and get automatic updates. Interestingly, Google did leave the door open for extra apps to be added to the stock experiences, but said that any extra apps would have to be "locally relevant". It's unclear how much Google will exert pressure to keep to that promise, so we'll have to watch for bloat. this is kind of android silver... the OS updated by google just like the play edition combined with karbon & micromax (in India), this is the feature phone killer!!!!!! it will also kill cheap wp (5xx, 6xx) and bb (z30 and bunch of OS7 bb). Well this year , iOS copy android's features while android copy iOS and windows 8.1 design, so they both copy. Typing ahahahaha doesnt means you are funny. I feel like crying after reading your posts. Get a life and take a break from your trolls bro. Chill ! Micromax!!! one of the good company i like. very happy to hear micromax coming at a global level.i was frustated by their quality as they were just importing phones from china without any quality testing or design on both software and hardware by the company itself .seems google android one phone will be an exception . you should try their phone. I have a micromax for 15 months and i haven't faced any problems yet. Oh, NOW they put FM radio... but only in the 'emerging' markets. I the 'other' markets people are forced to stream. Despicable. Mediatek chipset support FM radio band, Snapdragon don't. If you want FM radio android, you can't have high end phone. @Phone arena Sundar picai said that user has the control on additional content, meaning user can delete it. 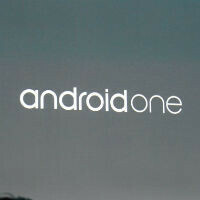 I think the android one will mark the end of many things. The end of feature phone, the end of blackberry (who wanna buy z30 anymore), the end of nokia X (why would anyone buy half-hearted android when they can get the google nexus-like android with $100), the end of cheap lumia. Check mate!! Micromax is still Micromax !! it's worst.. why not Xioami or Huawei or some better company like that?